We’ve been big fans of Sylvain Berneron, better known under the guise of Holographic Hammer, for years. Over the years, we’ve shared some of his Ducati and Triumph cafe racer illustrations. 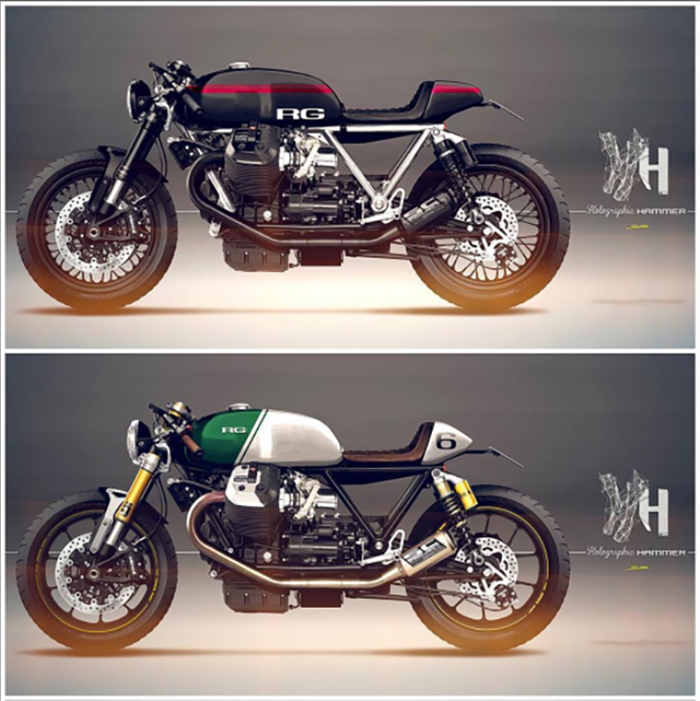 Lately, we’ve been toying around with doing a Guzzi build and low and behold, Holographic Hammer has been teasing us with some killer mock ups. The title image as well as the two above are both for a client “Kris. K” from Germany. 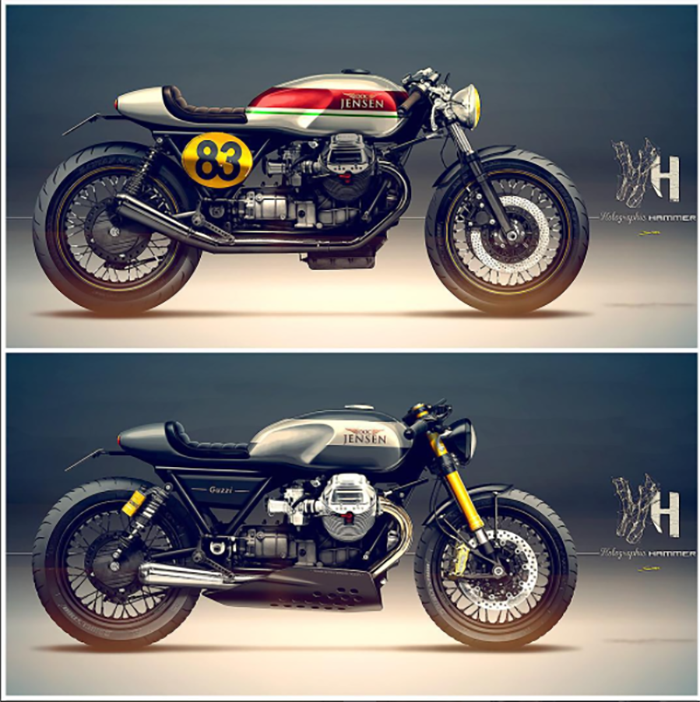 Kris plans on building a new Guzzi racer, and Sylvain helps visualize pre-build. Sketches made for another German client, Doc Jensen. The top goes classic, while the lower is slightly more modern. The more we stare at these mock-ups, the harder it is to choose a favorite. Having said that, one thing for sure is that we’re psyched to get a Guzzi build going!